We do not know the exact number of girls that were abducted from their school in Chibok on the morning of 15th of April 2014. Two weeks after, our governments, local, state or national have not been able to carry out a thorough audit and come up with the right figures. 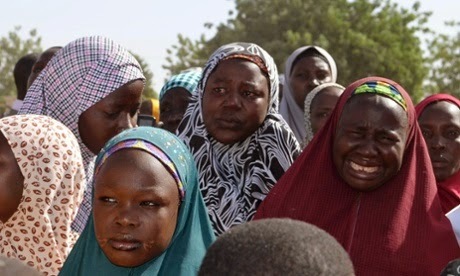 What we know however is that after the ‘Ides of March 2014’, came what will probably be a watershed for this country, the forceful abduction of about 200 young, innocent teenage girls from their school in Chibok by Boko Haram. We also know that, two weeks later, we do not know where they are or what has happened to them. 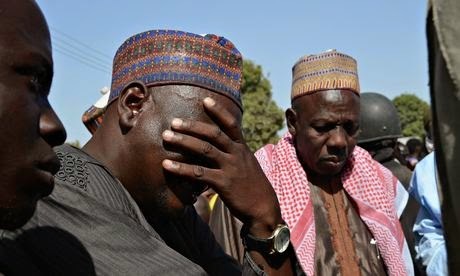 We know that a day before their abduction, Boko Haram planted a bomb at a bus garage in Abuja that killed about 80 people and maimed many more. (We have no exact figures of the killed and maimed either). We know that after these terrible killings, our president visited the site of the bomb blast. Less than 24 hours later, and in what will go down in history as probably one of the most insensitive moves of all time, he flew into Kano for a political rally where he danced, sang and made political jibes when the mood of the nation was that of mourning. He also visited Ibadan for a birthday celebration along with the Senate President. We were aghast and found no words to explain this utter disrespect for the dead and their families. We also know that whilst the President was dancing in Kano, the girls had been abducted and were being forcibly driven to Sambisa Forest. We know that there is no national mourning for the bomb victims, or a coherent, sensitive and galvanising strategy to handle the abduction of the girls beyond the empty, cheap and emotionless rhetoric from the lips of the cheap, clueless politicians we have come to painfully bear. We are probably the only country in the world where the abduction of 200 school girls would not call for a national emergency. It is not rocket science to realise that this is probably the most incompetent and heartless government in our history. But this is not the point of this essay. The tragedy of the current situation in Nigeria is that our mindless government has somehow infected the populace with the mindlessness virus. It appears Nigerians in all walks of life have gone to sleep over the abductions. Just like the government, our newspapers and media do not have a strategy to continue to place the issue at the forefront of our national discourse either. Parties and partying have continued unabated and many of our churches have gone ahead with their mindless ‘wealth transfer’ and other ludicrous seminars. Our youths are more concerned about the sacking of David Moyes and the exploits of Chelsea in the Champions League. Perhaps, we behave this way because most Nigerians feel inadequate and powerless to do anything. Whatever the reason may be, our mindlessness is mind-blowing, and it is a tragedy that we have degenerated this far. So this essay is about the girls. It’s an appeal not to soon forget them. Let’s not infect our children with the same virus of indifference and insensitivity that has eaten us up. Let us do what we can. Let us, in our schools, churches and mosques organise programmes that will keep the girls to mind until they are found. Let’s do the same in our companies and organisations. Let us show Boko Haram they have gone too far this time. Let us show our incompetent leaders and government too that, unlike them, we are sensitive to the families of the abducted. Let us concentrate our minds on the Chibok 200 even if our government, media, political and religious leaders do otherwise. Somehow, I have this very funny feeling that the abduction of these girls is going to be a watershed that will define Nigeria in a way we cannot fathom. Things are never going to be the same again.